So said Helen after completing a leadership course. This is my favourite quote by anyone who has completed a Leadership Programme. It speaks of a transformational experience – a change in how Helen sees herself. As such it is also incredibly powerful, because it affects the individual and those around her. If you ask her staff they will say she has changed the way she relates to people so that the whole team is involved in achieving organisational goals and that together they have far more impact. I’m not an expert in Leadership development work – I think of myself as an enthusiastic practitioner; as someone who has been inspired to grow into a leadership role by engaging in a learning process to develop my leadership practice. People often suggest to me that leadership development is designed for the benefit of the delivery team – to show off about how much they know about leadership as a subject. It’s akin to asking a design engineer who can’t drive, to advise someone on how to drive – they know everything about how the engine is built and the physics of how it works – but have never actually had experience of driving round the town, never mind Brands Hatch. We can all learn how to drive and we can all learn the practice of excellent leadership – but it’s not easy and there is no point of arrival – it’s very much a journey. “The most dangerous leadership myth is that leaders are born – that there is a genetic factor to leadership. This myth asserts that people simply either have certain charismatic qualities or not. That’s nonsense; in fact, the opposite is true. Leaders are made rather than born”. Compare these sentiments with the list of behaviours that are extolled from the thousands of books published on the subject of leadership. The quick fixes, guides, check-lists and models. In talking with some senior level managers recently, one said that despite their significant investment in leadership courses, they weren’t seeing a change in behaviour of their staff. For them it was an intellectual exercise about a subject that everyone would study and adapt accordingly – it was not about learning and reflecting about the ‘self’ in order to grow. In contrast, another manager who saw it more as an ongoing process of challenge, insight and reflection was immensely frustrated when a senior colleague said “I’m looking forward to the next leadership session – what model are we going to look at this time?”. She utterly deflated that what was designed to generate leadership behaviour and change was instead being perceived as an intellectual exercise. Leadership is not a skill that is learned like juggling or bookkeeping in that once you’ve done it, you have it. It really is a journey. It is a practice-based life skill – we need to try it, reflect on it and try it (or something different) again. Mr Bennis says that almost all failing organisations are over managed and under-led. What do you think? 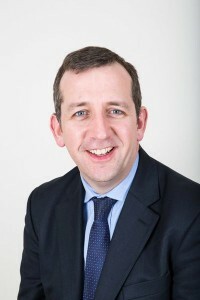 Neil McLean is Chief Executive of the Social Enterprise Academy. I like the point that leadership is ‘a practice-based life skill.’ I agree that it is useful to learn about the theory for insight but often it is in fact more instructional to watch a good leader in action and notice what they do well and model ourselves accordingly. CPD is not just about the courses, it is about putting what we have learned into action and being choosy about our role models.